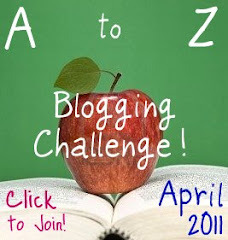 As we hit the end of the alphabet’s first half in our April A to Z Blogging Challenge, we need something to “bridge” the gap into the second half, don’t we? “M” is for MILLENNIUM BRIDGE! As the name would imply, London’s Millennium Bridge was constructed in the year 2000, London’s first new bridge to cross the River Thames in over 100 years! (The previous bridge was completed in 1894, and its construction provided a very cool setting for the climax of 2009’s Sherlock Holmes film—that’s right, Tower Bridge, situated right by the Tower of London.) Sir Norman Foster was the architect who worked in conjunction with sculptor Sir Anthony Caro and Arup engineers in crafting the distinctively modern Millennium Bridge. To view the actual wobbling and learn more about what went wrong and how it was resolved, follow this link to the YouTube video: London Millenium Bridge Opening (http://youtu.be/gQK21572oSU). BBC News also has a useful online guide, In Depth: Millennium Bridge. You’ll be delighted to know that Death-Eaters had nothing to do with it. Intended to appear a “blade of light” across the Thames, the Millennium is an impressive sight indeed. It’s situated so picturesquely, spanning across the Thames from St. Paul’s Cathedral on the north bank to the Tate Modern on the south. The nearest tube station is Mansion House. And I assure you the bridge no longer wobbles, so never fear if you’re motion-sick! I highly recommend grabbing your camera and going for a stroll across this modern marvel, and if you’d like a stunning panoramic view of it and the north bank, grab a coffee or cocktail at the Tate Modern’s 7th floor café (the Tate is free to enter). Perhaps if you’re lucky enough to be moving to London for a job located in this part of the City, the bridge will become an everyday part of your commute. From crossing the pond to crossing the river, take your move in stride. London Relocation will be your bridge over troubled waters to make relocating to London, England much easier.